Most babies have soft, fine, downy hair that requires special shampoo. Eventually, this baby hair is replaced by thicker strands that grow in abundance, but for some, nothing really ever changes. Some people still have the same soft, prone to static, fine, thin hair that they was born with. If you’re in that boat, you should know that you can use fine hair shampoo to add volume, decrease greasiness, and have your hair looking its healthiest. You’ve heard it before — fine hair that is shampooed too often can end up looking oily and weighed down. 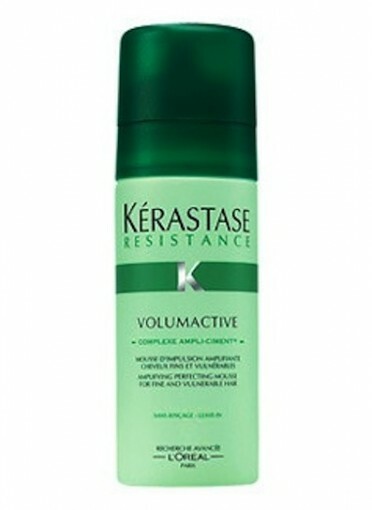 Try Kerastase’s Volumactive ($39) for a shampoo that will take you from flat to full without leaving you with a head full of greasy hair. For other hair care tips, check out these hair myths we debunked. If you’re looking for a bargain buy that can still volumize your hair, a fine hair shampoo recommendation is Garnier Fructis Volume Extend ($4). This drugstore find is a great alternative to expensive volumizing shampoos. For a middle of the road choice, try Paul Mitchell’s Extra Body Daily Shampoo ($11). This shampoo will add shine and is safe for color-treated hair. Besides finding the right fine hair shampoo, you can keep your hair looking full by not conditioning it everyday. Conditioner weighs hair down and will make it look greasy. Try a leave-in conditioner and focus just on the tips of your hair. Once you’ve gotten your fine hair shampoo taken care of, hop out of the shower and try one of these chic hairstyles for fine hair.